Carousell has undoubtedly become a favourite app among Singaporeans in recent years. It’s also not an overstatement to say that it has revolutionised the mobile marketplace, reimagining the way people buy and sell online. 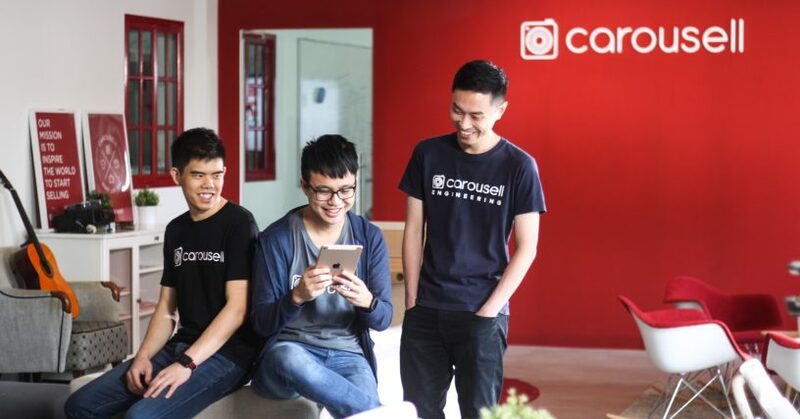 NUS alumni trio – Quek Siu Rui, Marcus Tan and Lucas Ngoo – worked on developing the Carousell mobile app after a year-long stint in Silicon Valley, putting the skills they acquired to good use by envisioning a peer-to-peer marketplace where NUS students could sell things to each other. What started out in school has now grown to become a widely-used marketplace app worldwide, reaching millions of buyers and sellers each day. 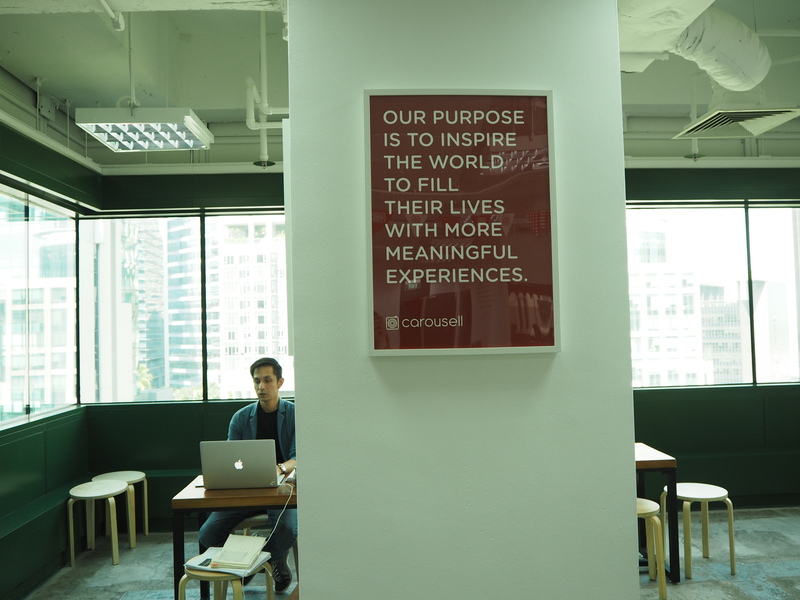 Since its launch in 2012, Carousell has expanded to more than 19 major cities, including Hong Kong, the Philippines and Australia. But of course, the startup journey wasn’t a walk in the park. The first 12 to 18 months was a challenging period – they didn’t achieve their desired numbers, and the growth rate was “pretty flat”. 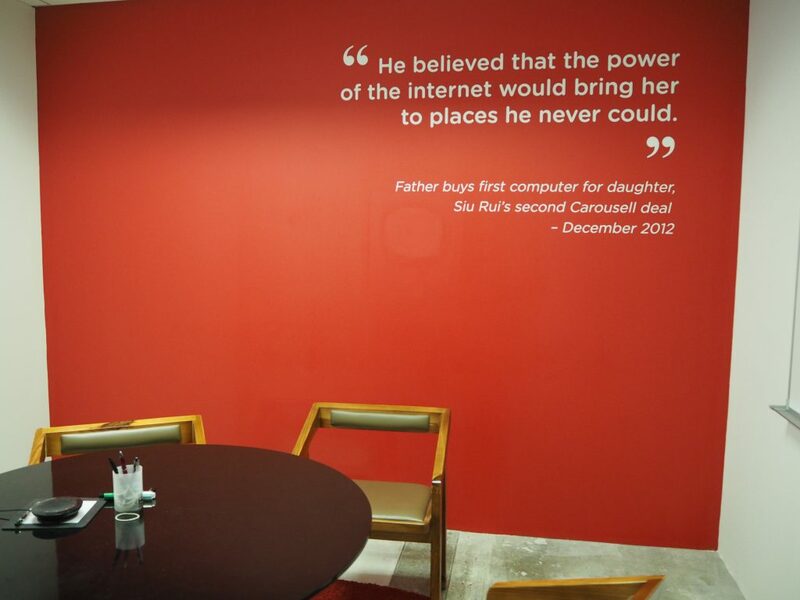 What kept them going was the various stories churned from the Carousell platform. 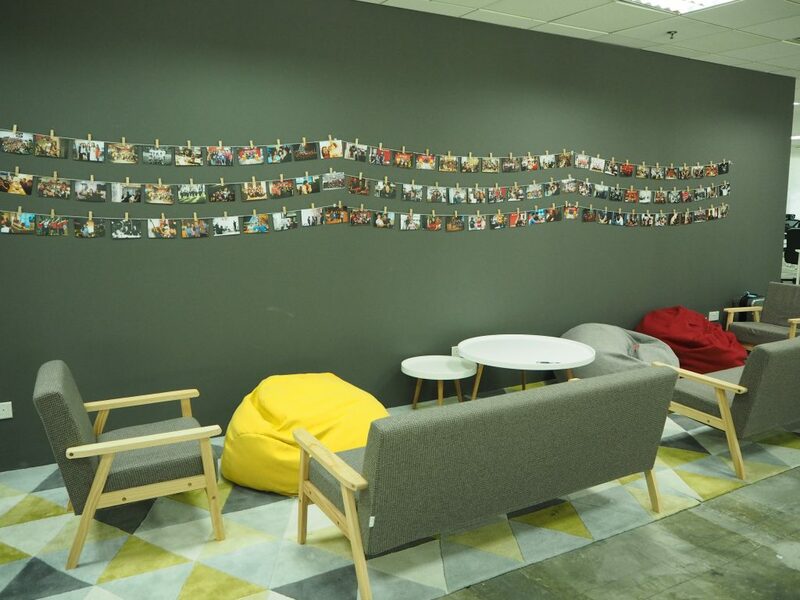 These stories are so meaningful to them that they can be found in every corner of their office, serving as a daily reminder of why they do what they do. 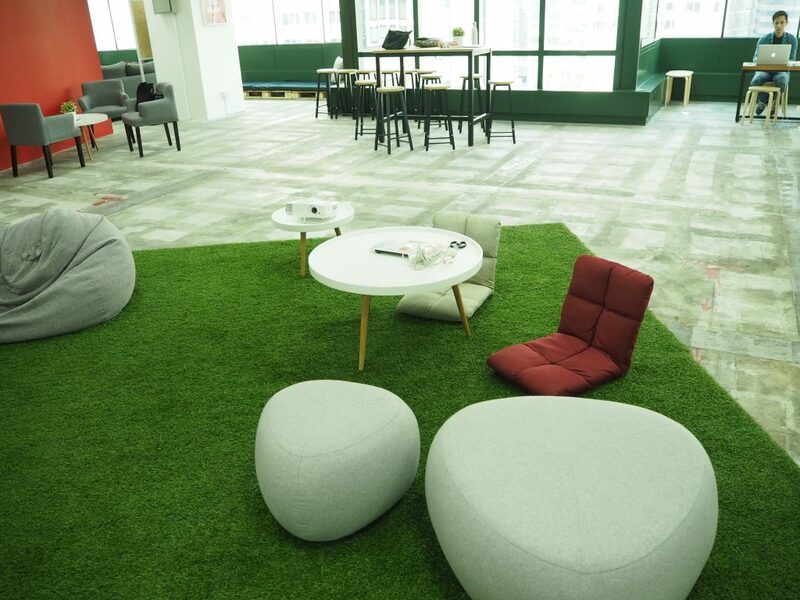 The company relocated its office from tech start-up hub Blk71 to the CBD district early this year to accommodate their fast-growing team. 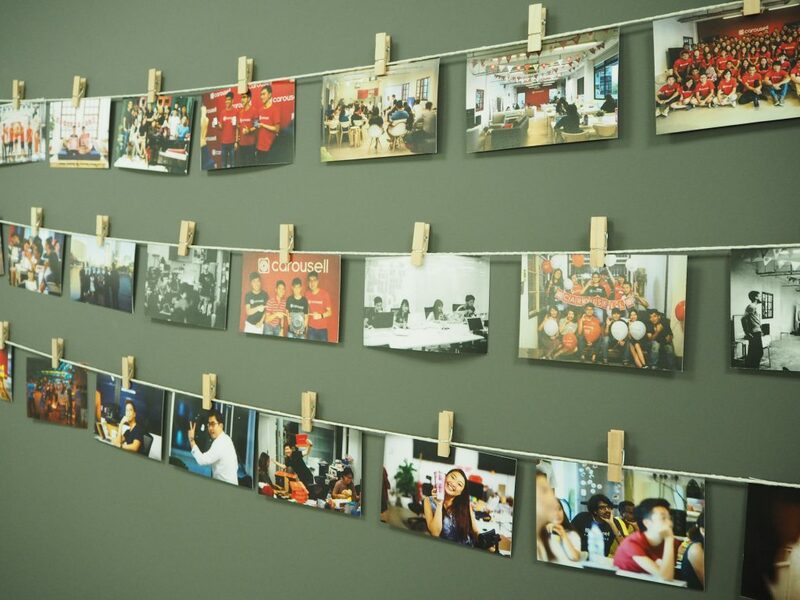 From a lean team of three co-founders, Carousell now consists of 180 people across 19 nationalities today. 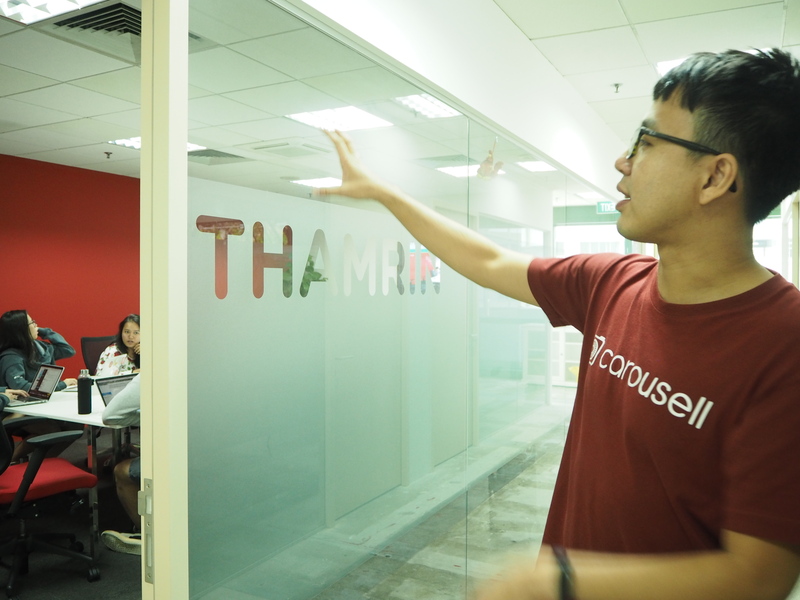 We had the golden opportunity to go on an exclusive tour of Carousell’s new two-storey office at Keppel Towers 2, led by co-founder Marcus himself. 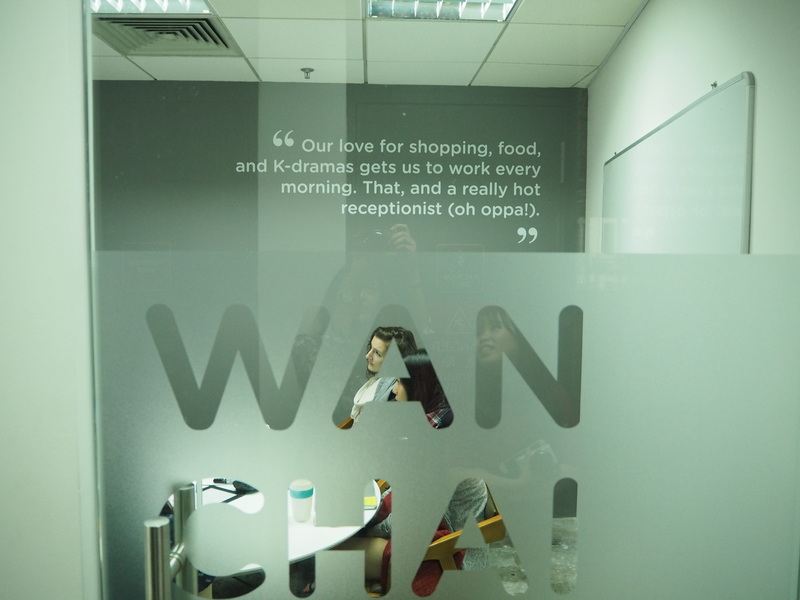 Here’s a sneak peek into their cool office! The most important part of the office: the pantry! They have an in-house barista that serves free coffee for the staff. 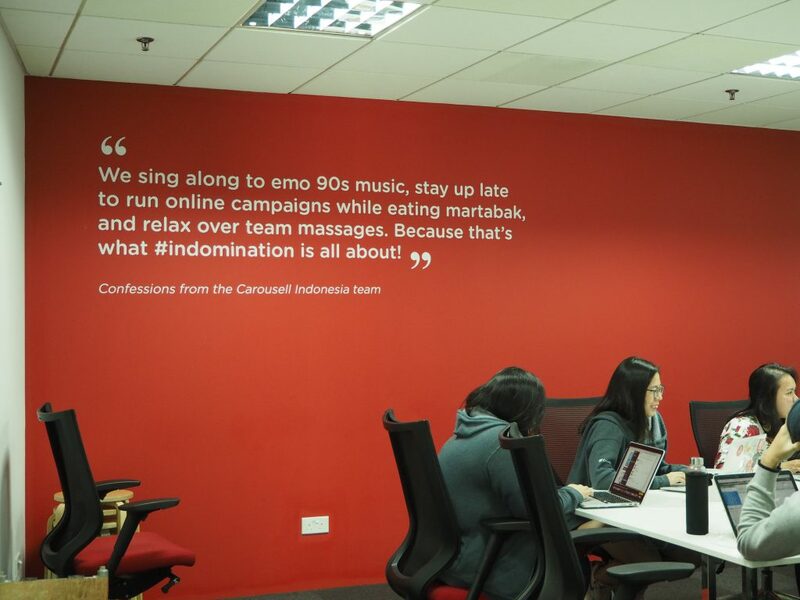 So why is Carousell called, Carousell? 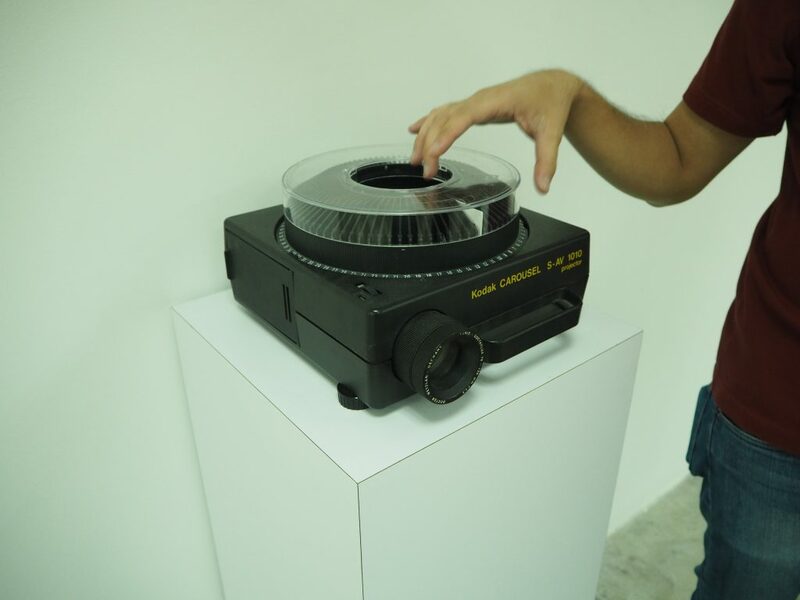 The Carousell name was inspired by Don Draper’s story about the Kodak slide projector in Mad Men. 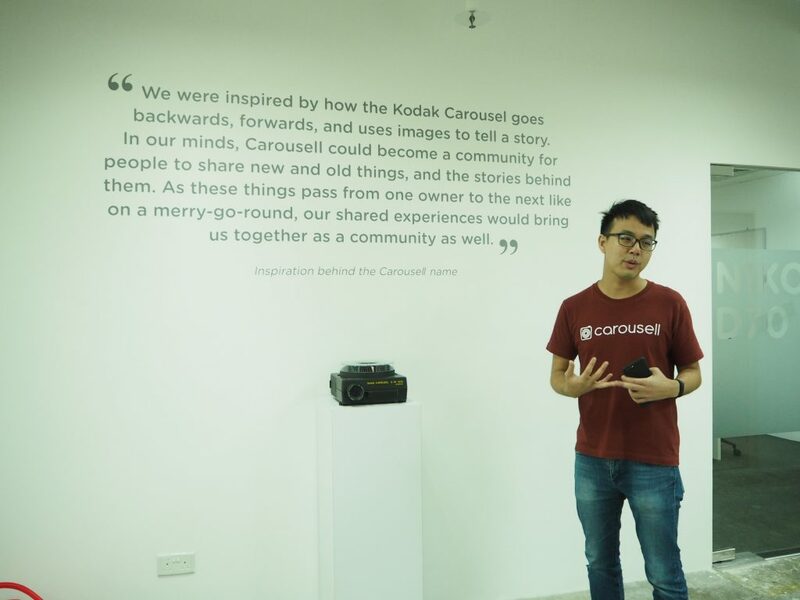 His description of a device that goes backwards, forwards, and tells the story of lives on little rotating slides powered by technology, helped Carousell visualise its hopes for the company. 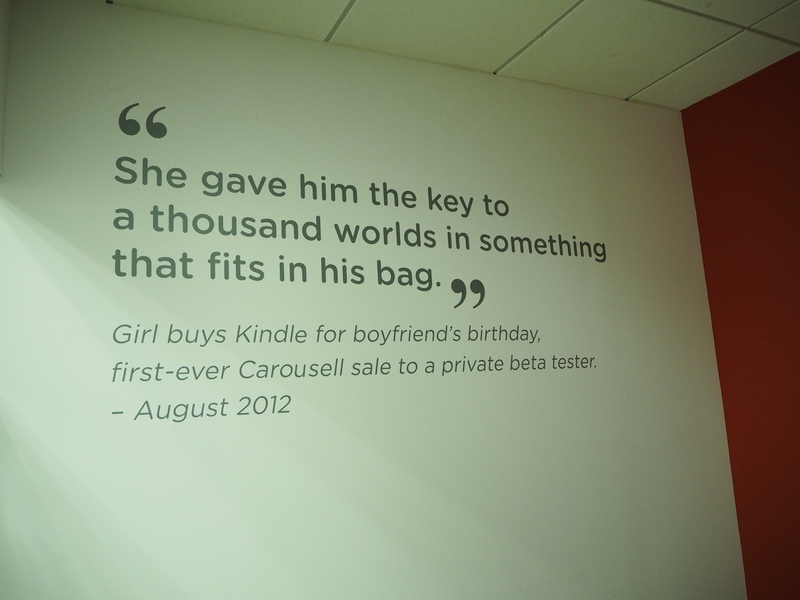 In their minds, Carousell could become a community for people to share new and old things, and the stories behind them. As these things passed from one owner to the next, the shared experiences could bring them together as a community as well. 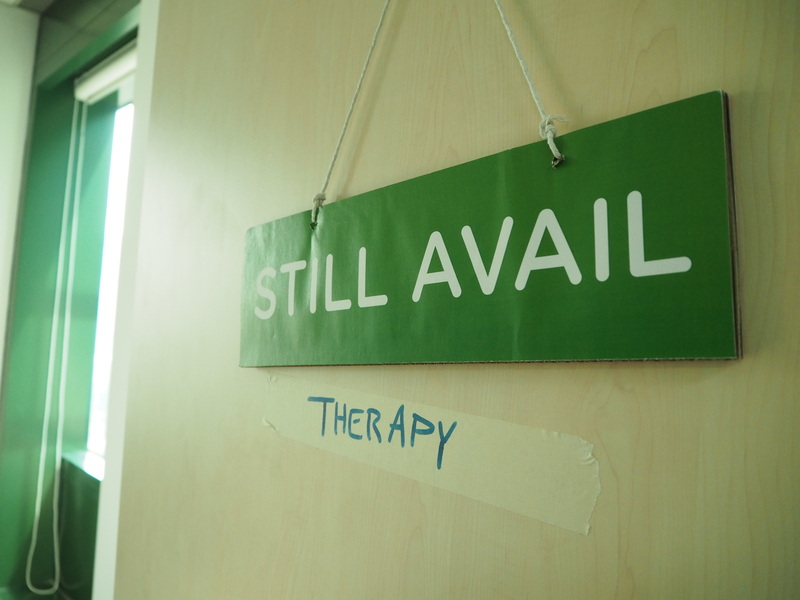 “We named our meeting rooms after the stories we hold dear,” said Marcus. 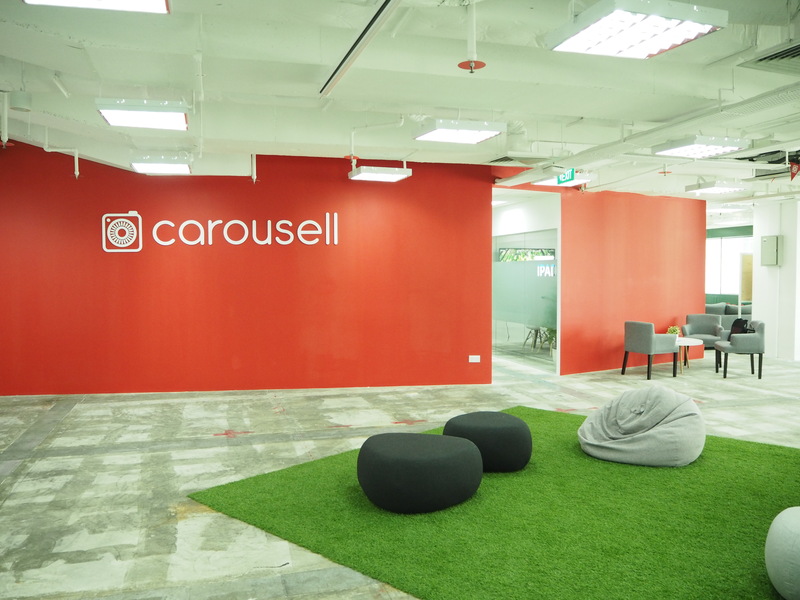 They are named after the first items sold in Carousell (a MacBook, a Kindle and an iPad); the first locations of Carousell’s offices overseas (Dihua in Taiwan, Wan Chai in Hong Kong, Thamrin in Indonesia); as well as stories behind Carousell transactions. 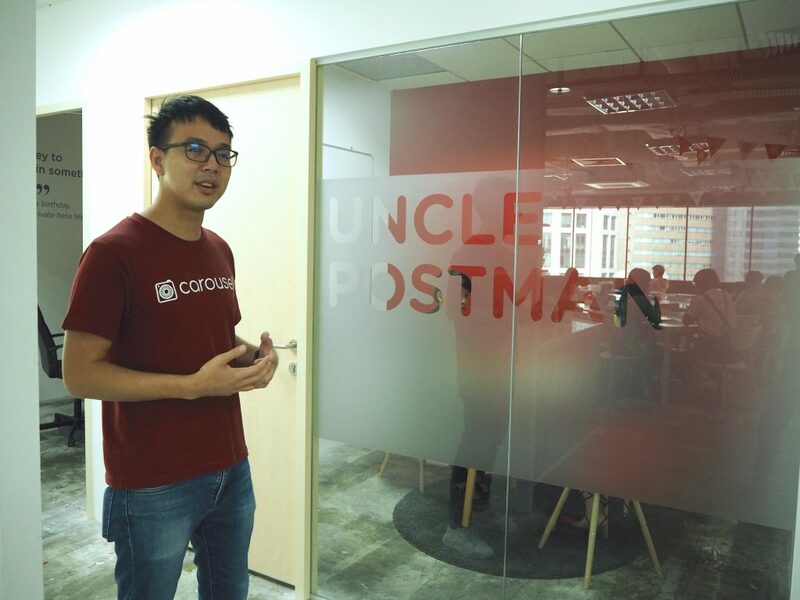 Uncle Postman (pictured below) for example, is about a Singaporean guy who tried selling an e-bike on Carousell for $699, but ended up giving it away to an elderly postman for free out of kindness. 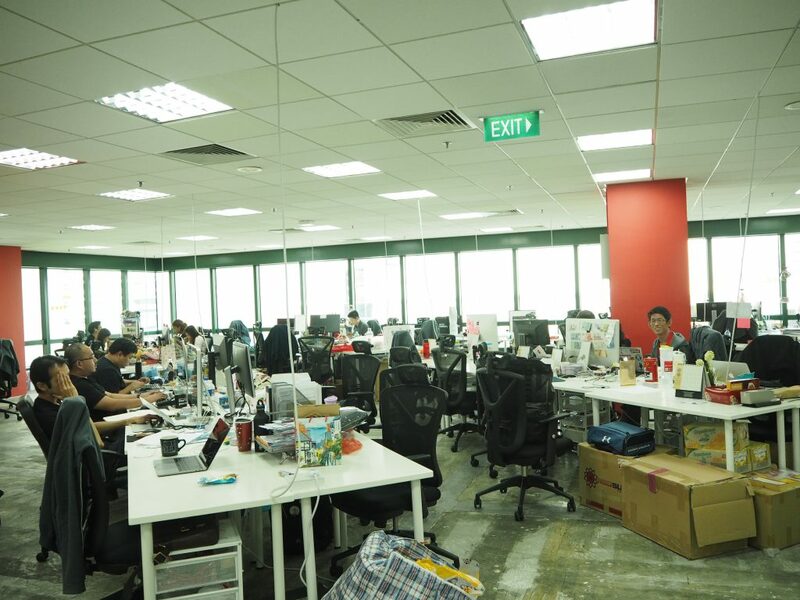 “Do buyers know that they are actually dealing with the Carousell co-founders?” I asked. “Haha, no last time they don’t! But now our Carousell accounts are tagged as Admin so maybe that’s a bit of a giveaway,” replied Marcus. …and Wan Chai, Hong Kong. 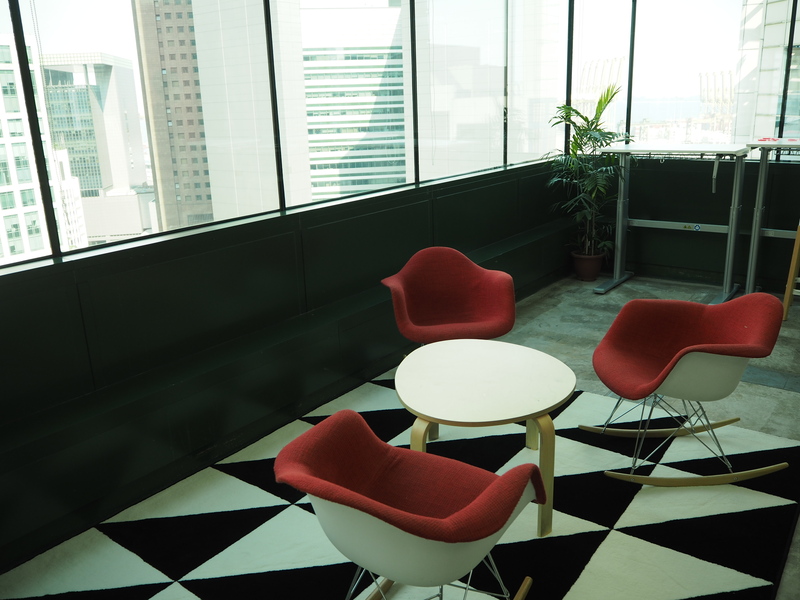 Open working space. 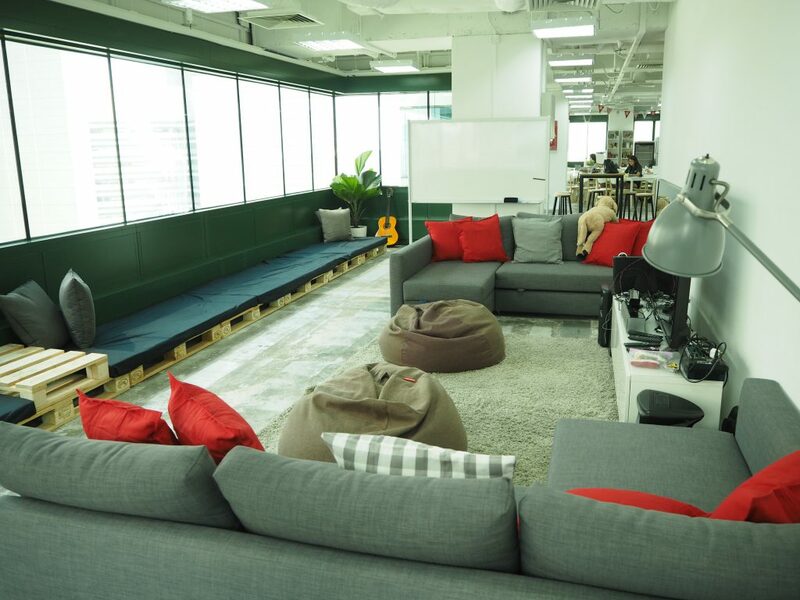 Fun fact: those wooden pallets that double up as seats are bought from a Carousell seller! If Carousellers are feeling lethargic, they can lounge on this hammock for a quick snooze. 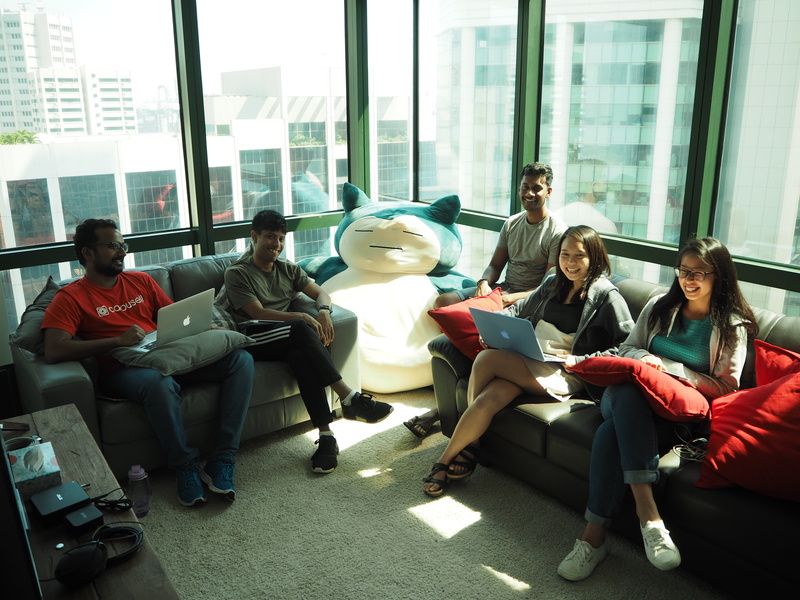 Remember the Singaporean fellow who made headlines for listing 3 Giant Snorlax plushies for sale on Carousell at S$250 each? 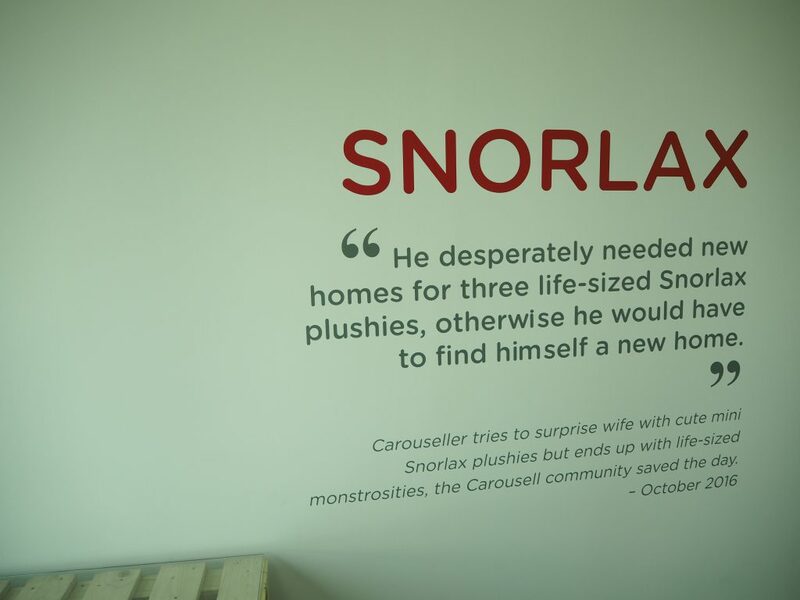 The Carouseller wanted to surprise his wife with the plushies since she’s fond of them and bought them online thinking that they were mini-sized, but he ended up getting surprised himself when he found out that they are actually 1.5 metres tall! Marcus was amused at the guy’s story and gave in to his desperate plea, buying one Snorlax off him. “I remember when I saw it for the first time – I was so shocked! The Snorlax was so huge that it actually filled up the entire car! It was a rather ridiculous ride back home,” he shared. 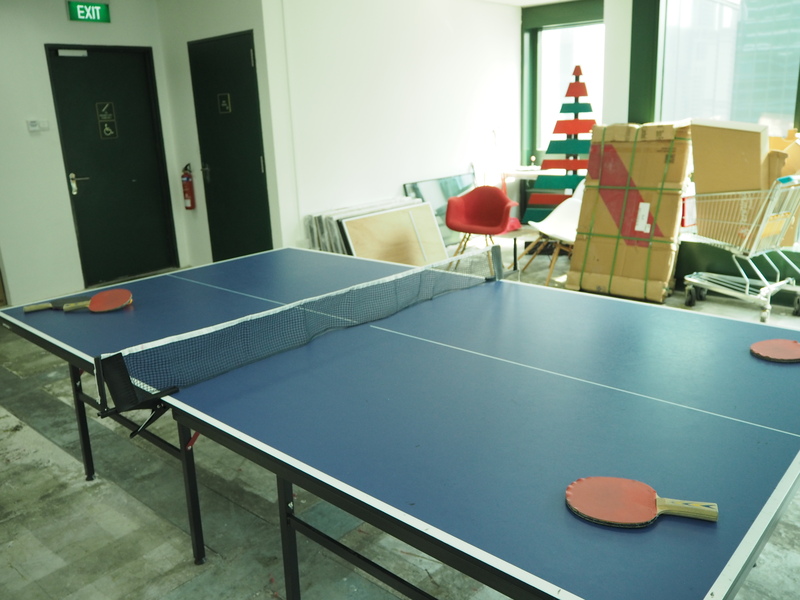 Marcus admitted that the three of them initially didn’t know what to do with this huge space so they got a pool table, and a ping-pong table to fill it up. 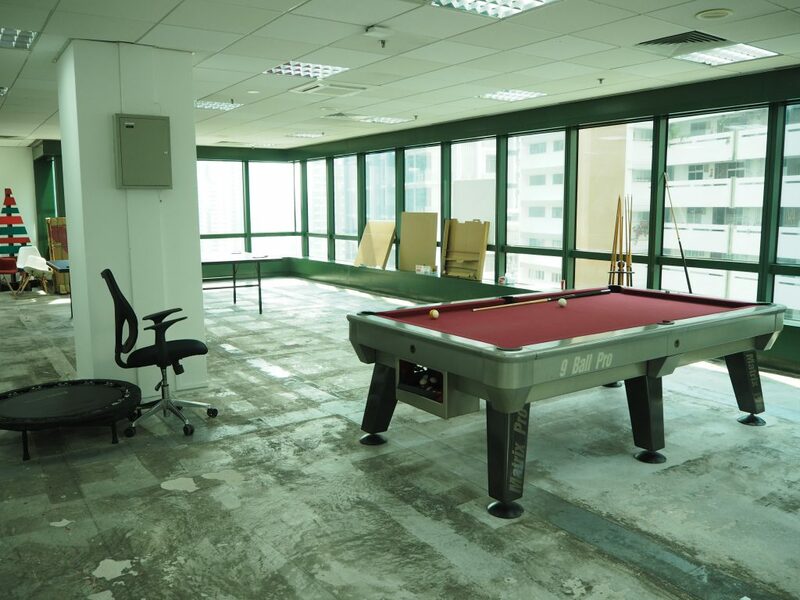 The space easily converted into a games room, though it isn’t exactly fully furnished yet – but who cares? Carousellers have tons of fun here nonetheless. Carousellers are free to swing by the room anytime (yes, even during working hours) to play a game or two to wind down. 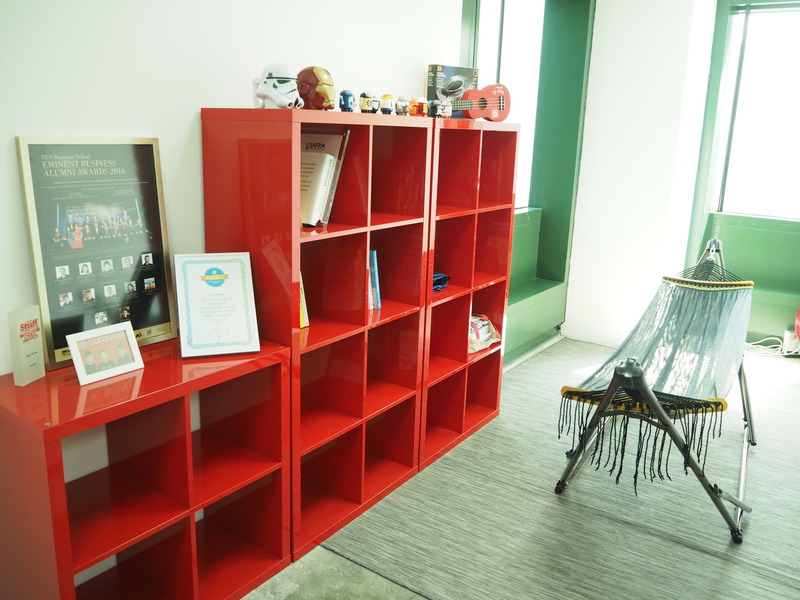 Another games corner at another level of the office. PlayStation? Yes, please. After touring the common office area, Marcus brought us down to the office space – this is where all the hustling happens! 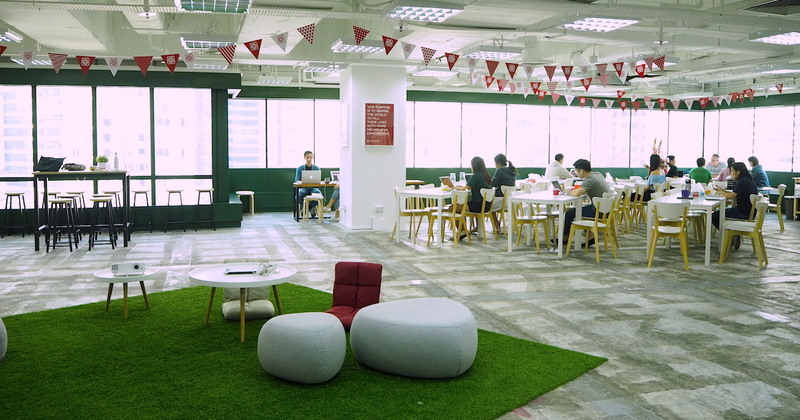 Carousell raised $35 million last year, in a funding round led by Rakuten Ventures, which also included investor heavy weights such as Sequoia India, Golden Gate Ventures, and 500 Startups. 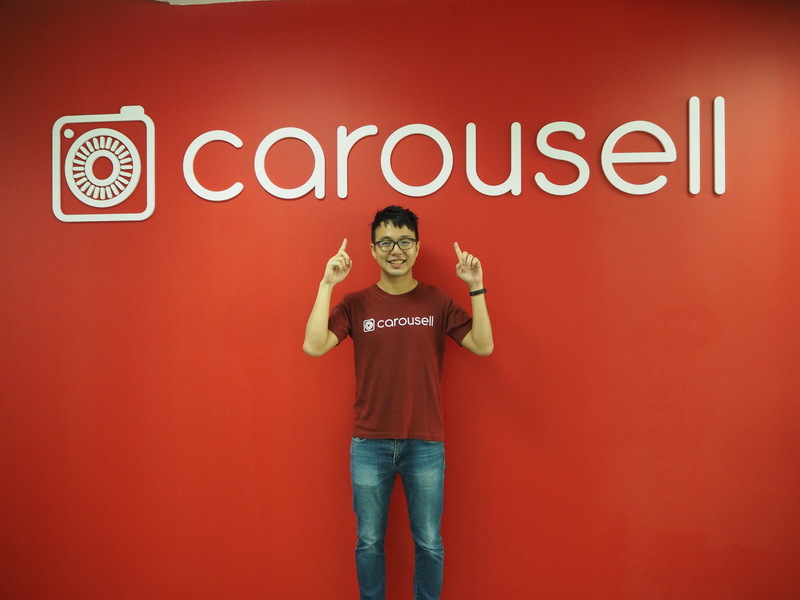 With this injection of funds, Carousell acquired homegrown mobile-first used car marketplace and dealership tool Caarly. 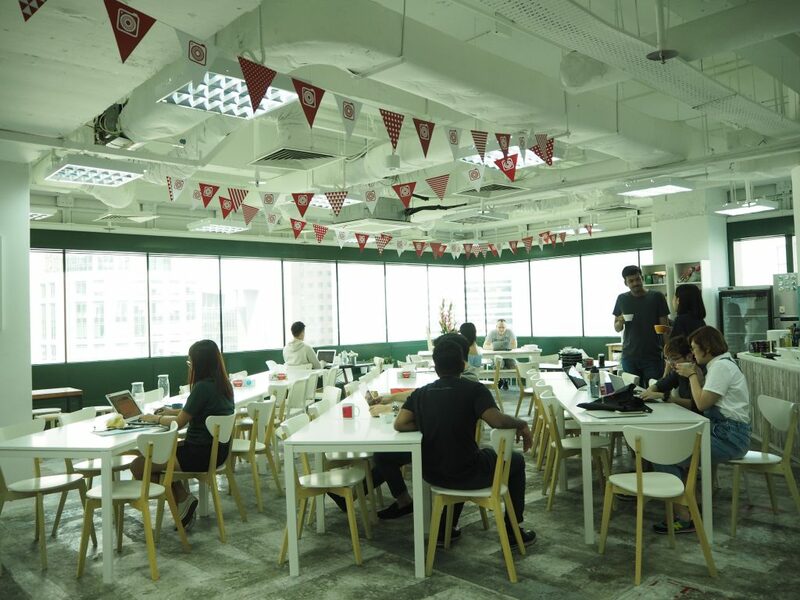 The acquisition resulted in the launch of Carousell Motors, a standalone app containing car listings from 300 Singapore-based dealerships. So yes, if you don’t already know, Carousell is now more than just a platform for selling unused goods around the house. These guys are from the Carousell Motors team! 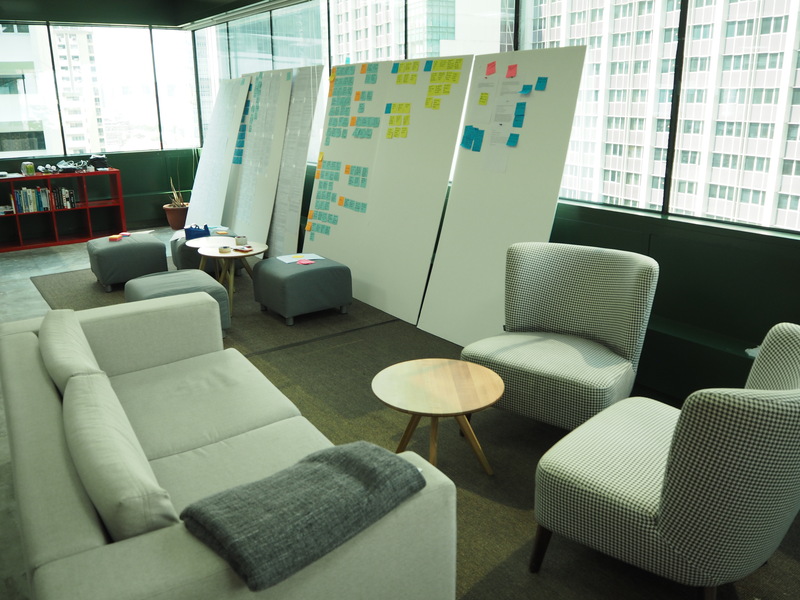 Another meeting area with their post-it filled idea boards. 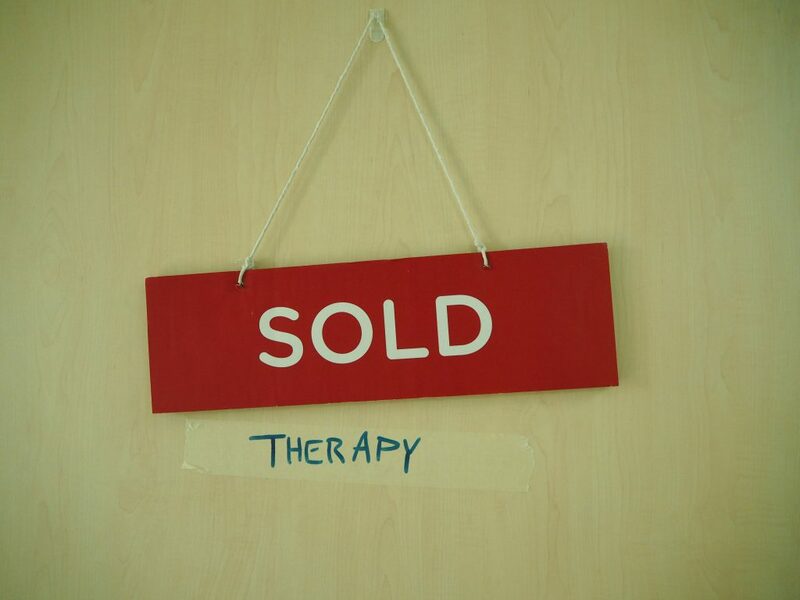 …or ‘Sold’ to mark the availability of the rooms. 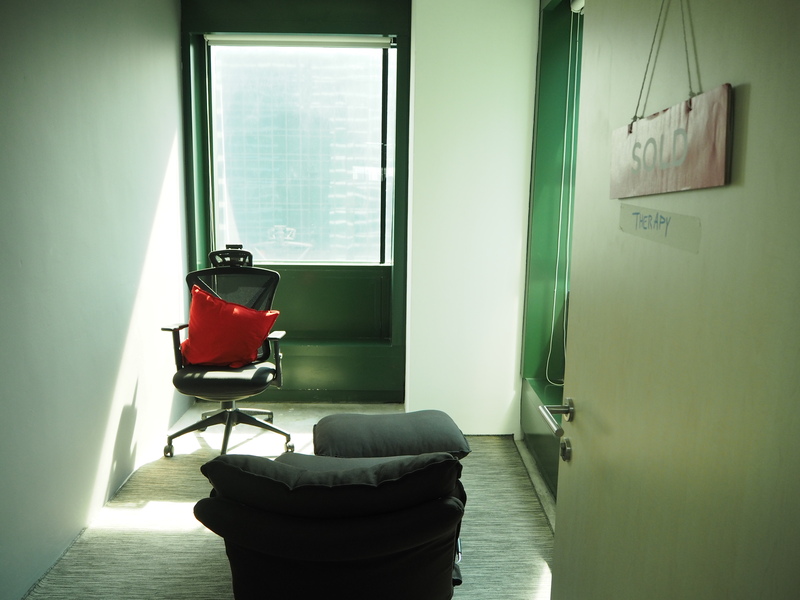 The general office space. 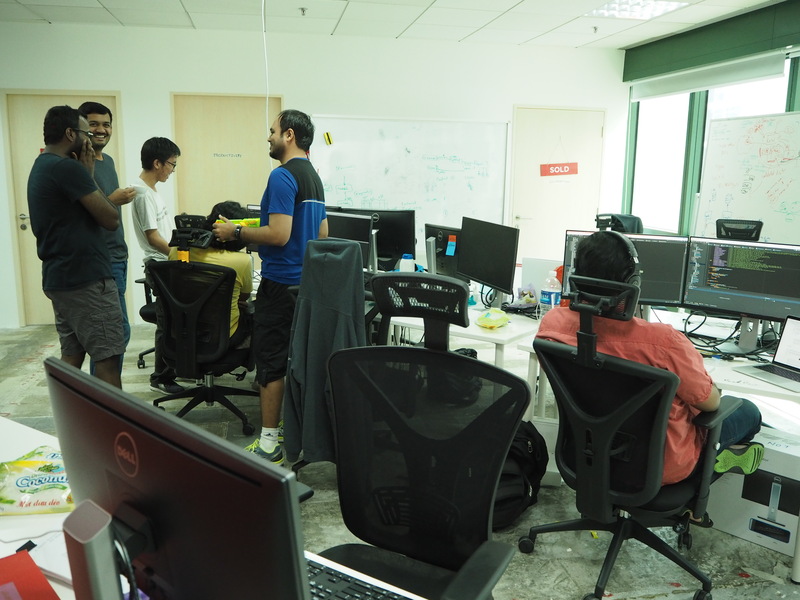 Spot co-founder Siu Rui hard at work! (No, he does not have his own office. 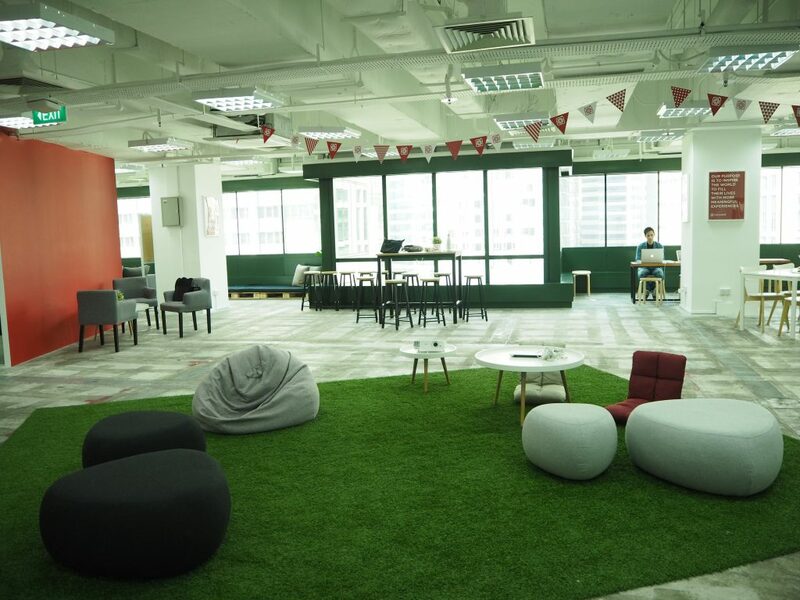 Carousell has a very open working culture and a ‘flat’ management approach). After touring their office, we now know why they clinched that award. 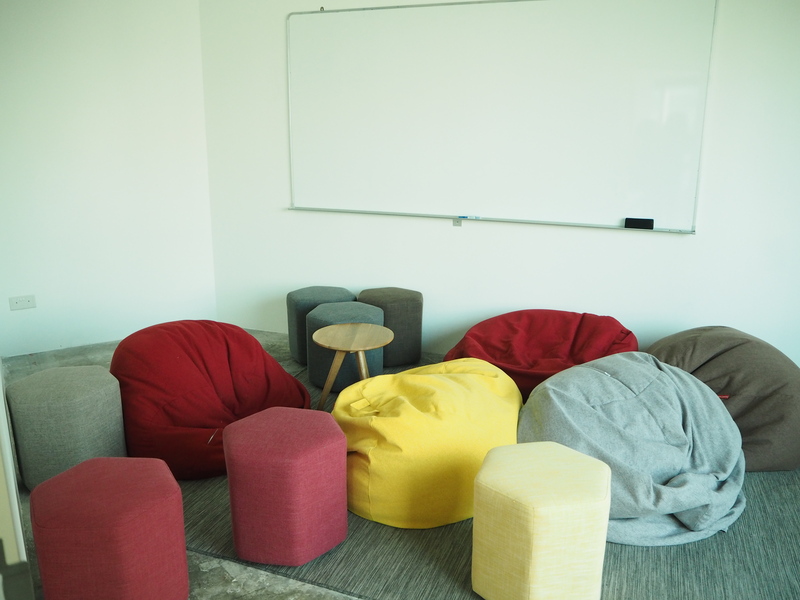 After all, having a cool and creative office space impacts an employee’s experience and productivity; and overall, it also reflects their fun company culture. Thanks Marcus for taking time out of your busy schedule to host us! 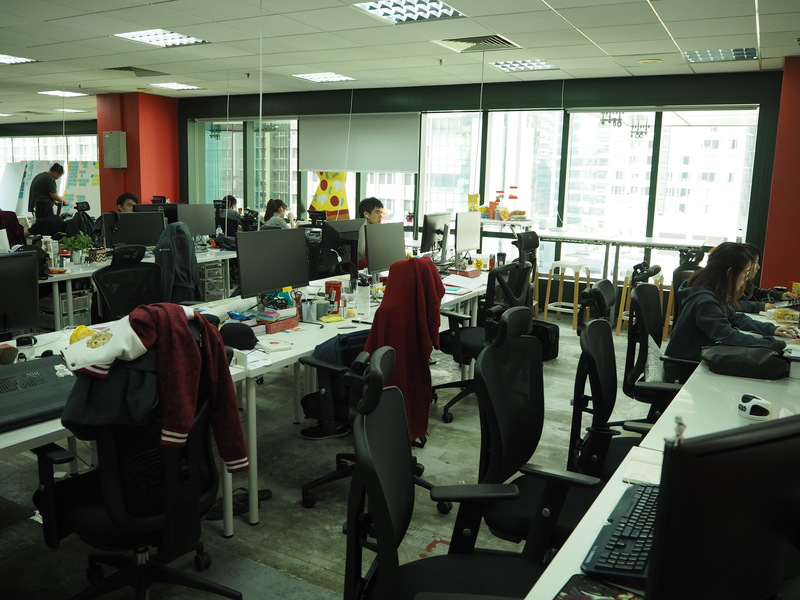 Carousell is truly #officegoals, and we are heartened to see a local startup’s exponential growth!